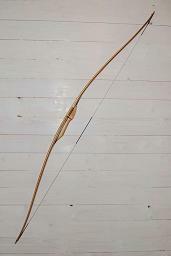 TVIVIDA-bows are made of hickory on a core of mahogany, walnut or pine, giving light and fast bows. Oiled or laquered in nature or stain. Strings of Dacron or polyestersilk (for weaker bows).